1. 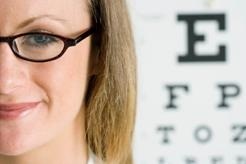 Check to see if you have any vision benefits with your insurance company or employer. You exam may be covered. Be sure to give the receptionist the proper insurance information which include: the full name, date of birth, and member ID number for the primary insured. 2. If you are not scheduling an annual eye exam be sure to inform the receptionist of any changes in your vision, health, or any problems with your eyeglasses or contacts. They will be able to determine what type of appointment you will need. 3. Check our office hours, location, and map which are all available here on our website. 1. We encourage our patients to fill out our EXAM CHECKLIST. This tool will help your Doctor to better understand the types of vision and health changes you are experiencing. 2. Bring your glasses and/or wear your contact lenses to your appointment. Also bring your current medical and vision insurance cards, as well as a list of the medications you are currently taking. 1. If you were dilated during your appointment, be sure to wear sunglasses anytime you are outside in sunlight for the next 3-4 hours. We also provide disposable sunglasses for your convenience. 2. We always appreciate feedback from our patients. Be sure to leave your current email address with us at check-in so we are able to send you our customer satisfaction survey. The email will also allow us to send notifications about future appointments and the status of your contacts and/or glasses.